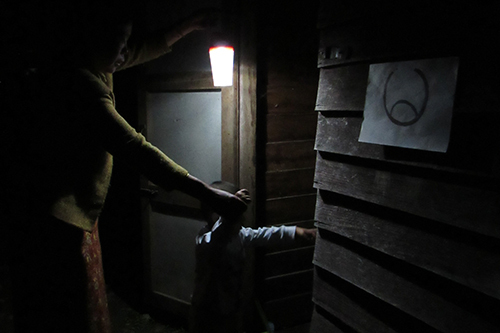 WAINGMAY, Myanmar – Khin Khin shudders when she thinks about walking in the dark from her shelter to the shared toilet. “I never feel safe to go to the toilet at night,” she said. 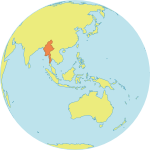 In Myanmar, 1.5 million people have no toilet in their home or yard. A toilet is essential not only to their health and dignity, it also impacts their safety. Around the world, women and girls report experiencing sexual assault and harassment when they have to leave home to relieve themselves or to manage their menstrual hygiene. Those in urban slums, rural areas and refugee camps are most at risk. Khin Khin, 38, lives in the Hkat Cho camp for internally displaced people in Waingmaw, in Myanmar’s Kachin State. She has lived in a temporary shelter for six years, since armed conflict reached her village and she had to flee with her two children. Regular flashlights provided only a short-term solution. Toilets are an uncomfortable topic for discussion. As a result, the dangers facing women are often shrouded in silence. But the evidence is clear: Women and girls suffer fear and brutality when facilities are not made safely accessible. To reduce the risk of violence, UNFPA provides solar-powered lanterns to women and girls who have to walk to shared toilet facilities at night. In collaboration with the Metta Development Foundation and the Kachin Baptist Convention, UNFPA has distributed nearly 2,500 lanterns to women in the displacement camps in Kachin State. 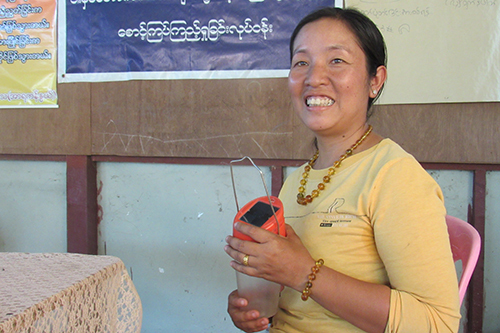 “Now I use the solar lantern every time I go to the toilet, no matter the rain or the wind. I can go to toilet anytime I want, and also with the children,” Khin Khin said. As part of its standard humanitarian response, UNFPA also advocates with partners for the creation of safe sanitation facilities in camps, such as toilets that do not require long walks in the dark and well-lit paths to shared facilities.